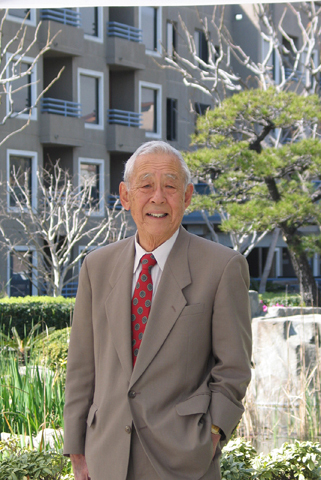 James Katsumi Mitsumori, a lawyer, veteran, and committed communitarian, passed on the morning of Nov. 11, just short of his 93rd birthday. He was one of the eight founders of Keiro Senior HealthCare in Los Angeles. Born on Nov. 30, 1921, the first child of Nisuke and Tane Mitsumori, he was a native of Pasadena, attending Lincoln Elementary School, Washington Junior High School, Muir Technical High School, where he competed in track alongside Jackie Robinson, and Pasadena Junior College, where he met Nora Maehara, who was to be his wife for nearly 60 years. 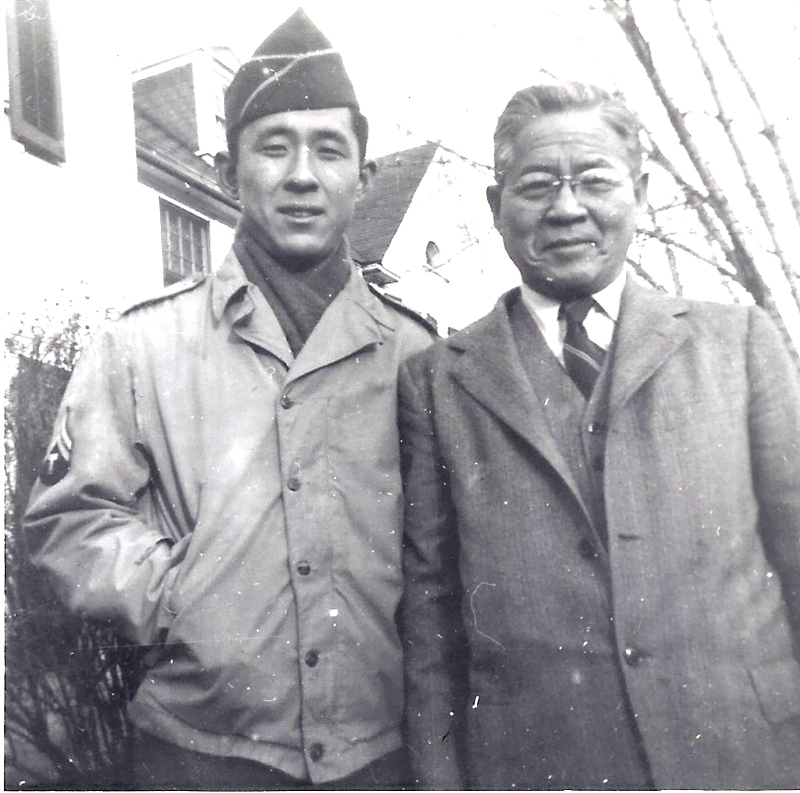 James Mitsumori and his father Nisuke. World War II changed whatever plans he would have had and inducted him into that global conflict. On March 16, 1943, Mitsumori enlisted with the much celebrated and decorated 442nd Regimental Combat Team, 2nd Battalion, Headquarter Company. He served in Italy and France, spending the majority of the war as a staff sergeant but rising to master sergeant by the end of the war. He was honorably discharged on Jan. 5, 1946. After the war, Mitsumori completed his education at the University of Michigan, where he studied law and passed the bar on Dec. 10, 1948. He practiced law privately until 1951, when he was appointed to position of assistant U.S. attorney, Criminal Complaints Division, by federal prosecutor Ernest Tolin, becoming the first Japanese American to hold the esteemed position in the continental United States. In 1953, he resigned his federal position to open a private law practice in Little Tokyo, operating tirelessly (with his partner, David La Salle) until retiring in April of 2010 at age 88 due to declining health. Mitsumori was asked multiple times if he would serve as a judge and was approached several times about merging his law firm with larger ones. In each instance, he declined, feeling he could better serve the community by remaining in Little Tokyo. A trusted estate planning attorney, he met with numerous clients and over his career advised many non-profit organizations in the Japanese American community. He and his wife adopted two girls, Ann Tane and Jan Ryo, in 1955 and 1958 respectively, raising them in the familiar neighborhoods of Pasadena. James Mitsumori in Milan, Italy in 1945. 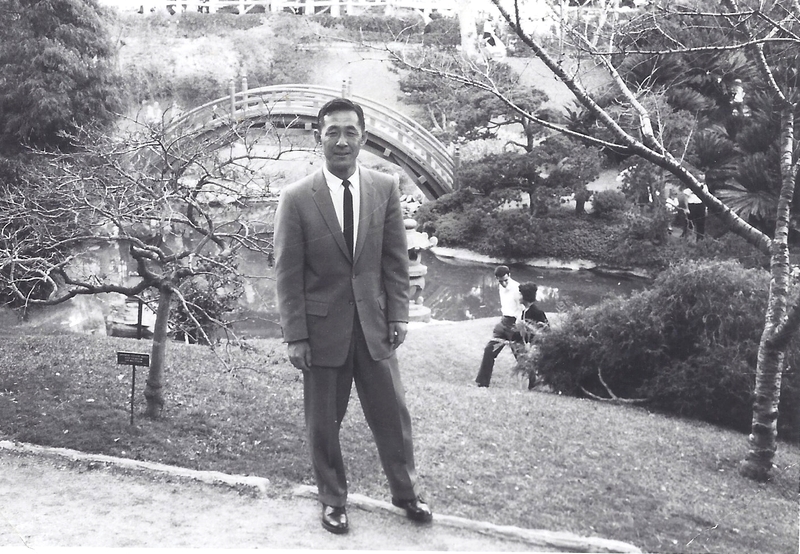 Mitsumori served the Japanese American Optimist club as its president from 1957 to 1958 and was a board member of Children’s Home Society. He took a close interest in political and social causes such as the Japanese American Democratic Club, which led to his meeting future president John F. Kennedy in 1956. 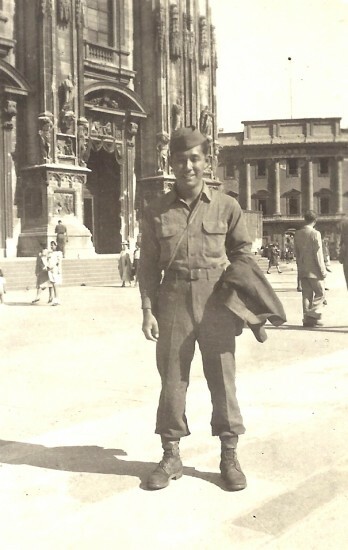 Mitsumori enjoyed sports and was fond of college football with special regard for his Michigan Wolverines. He was a committed family man and appreciated the regular vacations to Oahu to visit his wife’s family. “James Katsumi Mitsumori was a humorous man,” said his grandson James Arie Figgins, a student at Northeastern University in Boston. “His gravitas, intelligence, and composure belie just how playful and silly he could be as a grandfather and great-grandfather. I will always remember his wide smile, showing off his dental caps and the warmth of his personality. “He will be remembered for his unparalleled devotion and mastery of harmony and conciliation. James was wise and prudent in his endeavors, but undeniably caring and compassionate in the same. James had a deep and personal understanding of justice. He could instinctively determine right from wrong, fair from unfair and understood that one may not like the hand they were dealt, but could recognize the fairness of it. Mitsumori is survived by his daughters, Ann and Jan; his grandchildren, Taylor, Marah, Ariel, Malea, Maren and James; and his great-grandchildren, Caleb, Luke, and Ben. Mitsumori was actively involved with Keiro into its 50th year, when he retired from the Board of Directors. In 2007, after serving 14 years as chairman of the board, he completed his term and discussed his thoughts about Keiro’s direction and its continued evolution to meet the changing needs of the community. James Mitsumori on the Keiro campus in Lincoln Heights. His vision and leadership helped to guide Keiro, and during his tenure as chairman (1993-2007), Keiro completed extensive renovations of the Retirement Home, Intermediate Care Facility and Nursing Home, and provide expanded services through an adult day care center in Garden Grove and an adult day health care center in Torrance. Mitsumori was a member of Keiro’s Board of Directors until March 2011 and continued his involvement as part of the Senior Advisory Council.